Digital restaurant menu has an upper hand over the traditional restaurant menu for not one but many reasons. With the augment of the new age of technology where everything is getting digitized, the restaurant menus too are stepping ahead and going digital. The hard copies of restaurant menus are replaced with the digital ones and there are not just one but many benefits of a digital menu. Not only is it cost effective since you will not have to print menus every time you bring in the slightest change but also very appealing to the eyes since your customers can see the entire menu on one sight, which in turn will help you in upselling. “Digital menu gives wider access to customer, unlimited reach, customized & personalized offerings to give better experience to customers, easy promotion by tweaking price, Keeps ahead of the competition, enables timely feedback from customers. All of it increases loyalty of customer hugely, “shares Ranjan Agarwal, co-owner of Salad Chef. 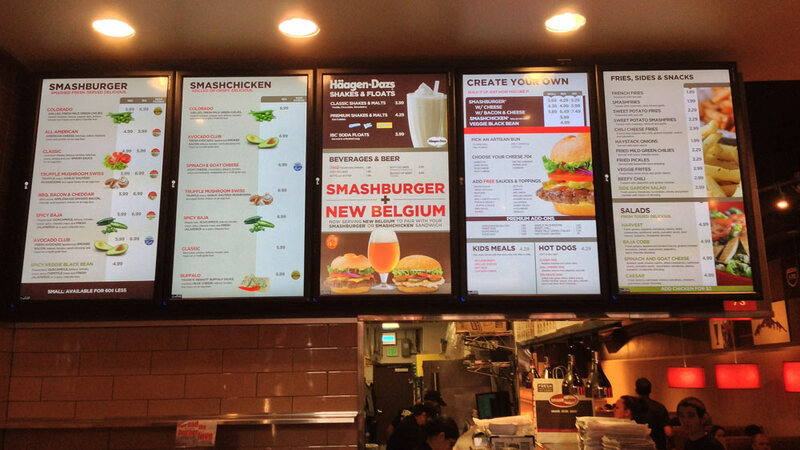 Cost Effective: Unlike a traditional static menu board, costs can be reduced by diminishing the need to design, print, ship and reprint menus whenever promotional items are added to the menus. Once you have your digital restaurant menu designed and installed maintaining it is simpler as it requires small tasks of uploading pictures and posting on any of the social media platforms. Since a digital restaurant menu can be edited easily, it gives the advantage to your café or restaurant to be dynamic in your offerings – for example, tweaking your food to adapt any latest trends or any seasonal festivities. Easy Menu Updation: When digital restaurant menu is integrated, all changes on the menu relating to the menu items and the pricing can be managed remotely so that either all or only the selected few restaurants (if it is a chain) gets it updated on the e-menu. Reduced Dependency on Manpower: Automation always frees up the reliance on staff and reduces dependence on the external forces like the manpower. If you have an e-menu on every table, then orders need not be taken down by your servers, which will in turn help in freeing them and reducing the need to schedule servers during peak hours. Not only will this reduce your need to tap the right restaurant staff, and then train and retain them, it will also reduce the scope of mistakes while order taking and the instances of misplacing orders. Since it is your customers who are placing the order the possibility of sending the customers a wrong order would be nearly negligible. The digital restaurant menu is a highly accurate system and leaves little room for mistakes. Enhances Customer Experience: The digital restaurant menu is highly beneficial for your restaurant since it helps to make your entire guest experience more comfortable and convenient. With a stellar HD photo displayed on the tablets, it would allow your food items to appear more attractive. Your digital restaurant menu will also help to suggest food items to customers according to what they are look for or point them to the more popular dishes for that week. Hence, your digital restaurant menu will be able to provide a personalized experience to your customers.